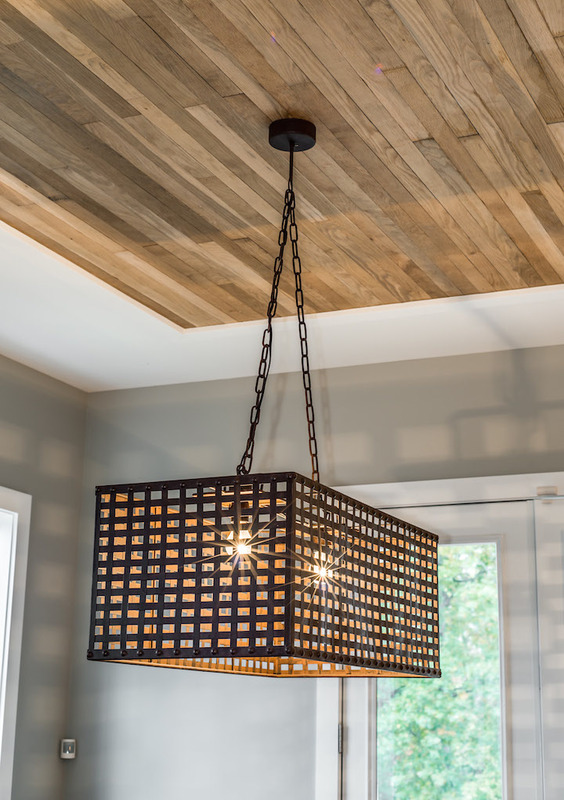 When partnering with Renaissance Tile & Bath design consultant Shelby Brown on her personal residence, we used salvaged treasures and rustic lighting to create a new house with all the warmth of a historic home. 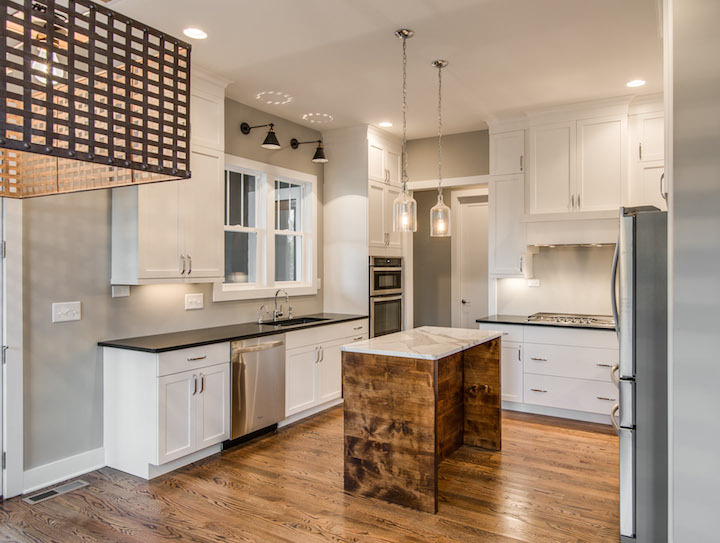 The Process: A few years ago, my friend Shelby approached me about designing a new home for her and her husband. 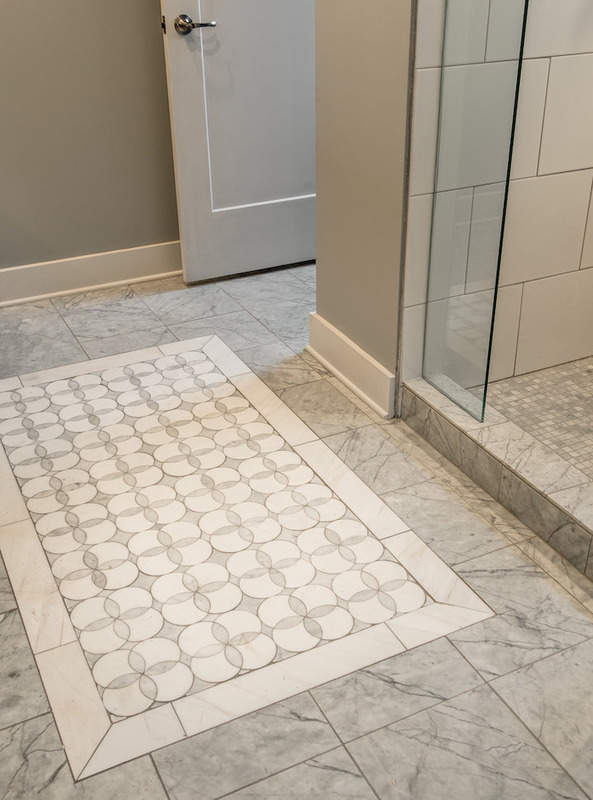 Shelby works at Nashville’s Renaissance Tile & Bath, where we have long sourced all of the tile for Bynum Design projects. 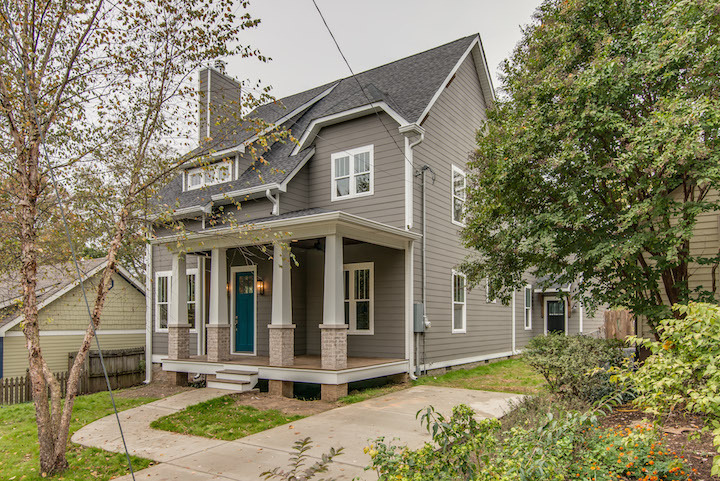 I adore her and was eager to build in Sylvan Park–this would be my first house in the neighborhood–but I hadn’t partnered with another designer in a long while. I primarily build spec houses, but it’s different working closely with a client. Since building this house, I’ve discovered that when I’m the client, as I am when designing spec houses, I make myself (even) crazier. The process of working with Shelby was more relaxing and rewarding, as she gave a rustic, artisanal edge to my polished modern style. And in an age where everything from Domino to HGTV to Pinterest have given people interior design savvy, it was high time for me to collaborate with a client. I was fortunate that this particular client had a keen eye for design and a perspective that both complemented and challenged my own. “I didn’t want any wasted space—like how people do large foyers, but then are never in that area,” says Shelby. 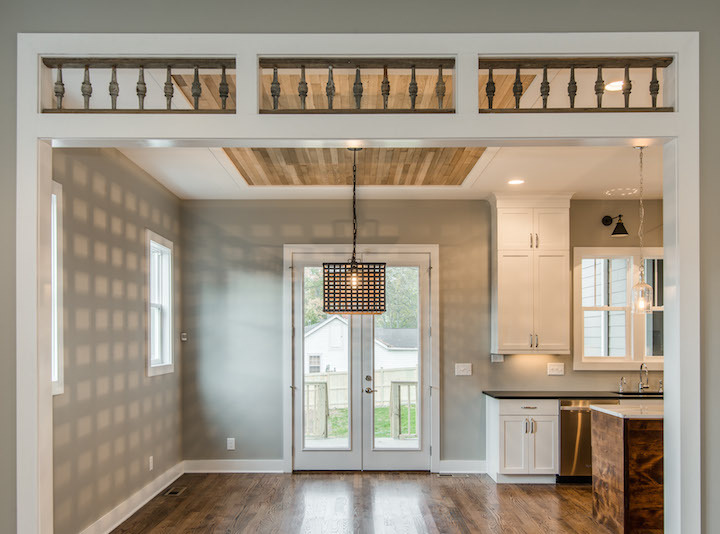 “With our lot being so small, like most of them in Nashville, I didn’t have any room to waste, so I wanted every area to be as functional as possible.” The way we design–using 3D software–allowed Shelby to maneuver through the house before it was built so there weren’t any surprises. Read on to hear the story of how this 2,267-square-foot home came to life, quite literally rising to meet unique challenges (i.e., an extra-tall husband). Patina from the Past. 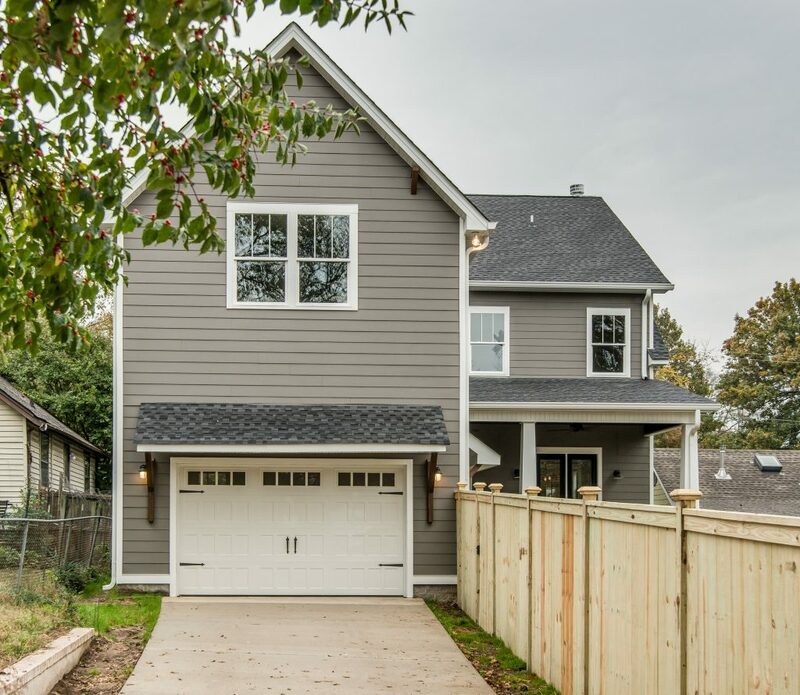 “I didn’t want it to feel like it was a brand new house,” says Shelby. “I wanted it to have character and to bring in some old elements.” Luckily, we were able to accomplish that by paying homage to the 800-square-foot house that once stood on this lot. Knowing that kids were in their future, the Browns needed a bigger house than that. 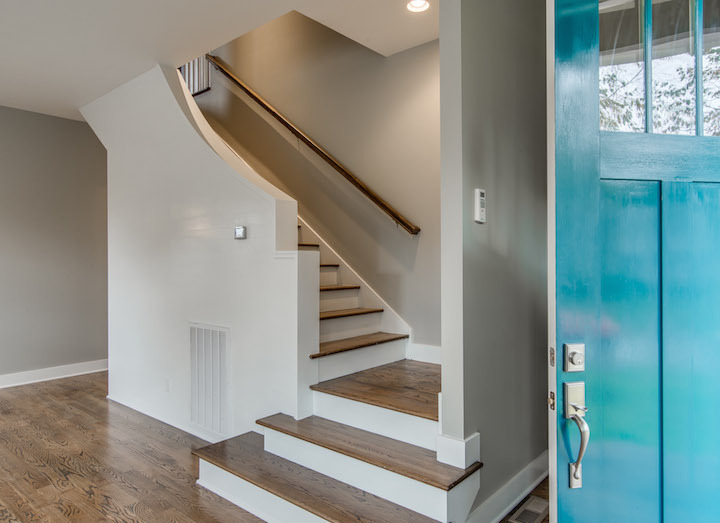 The original house, built in the 1940s, offered no aesthetic value and contained little worthy of salvaging, but Shelby did make it a point to save the hardwood flooring. 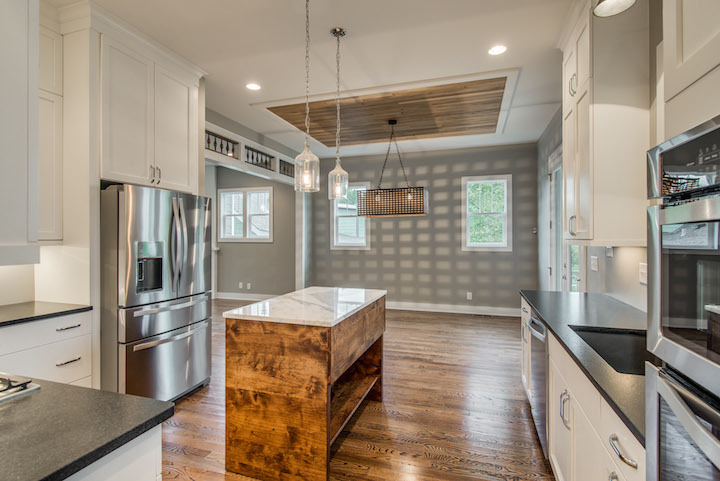 To add still more character, Shelby sketched, and then asked her father-in-law to build, the kitchen island and topped it with a stunning piece of Calcutta marble, a foil against the granite-composite sink and the rest of the countertops, which are a leathered black granite. Splashy Paint Colors. Shelby added color to our design and our lives by spiking our neutral color palette (get all the paint color details in our next blog post!) 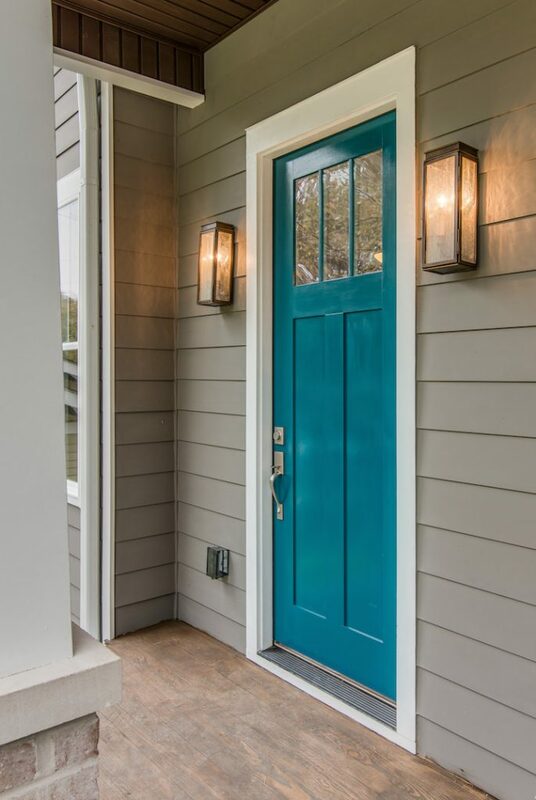 with a turquoise front door, a kelly green Dutch door (I call it a Doris Day door) and inky navy on the guest room walls. The 6’7″ Husband. 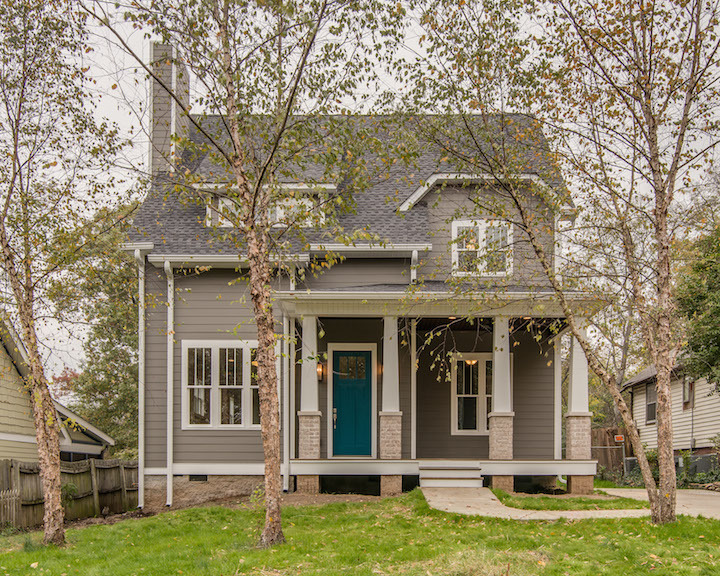 When Shelby and her husband initially selected Sylvan Park to live in, they envisioned renovating an existing house. Her husband’s height soon proved to be a barrier to that. Standing tall at 6’7″, he found himself having to duck through every doorway of the homes he toured–and throughout many of the upstairs rooms, too. 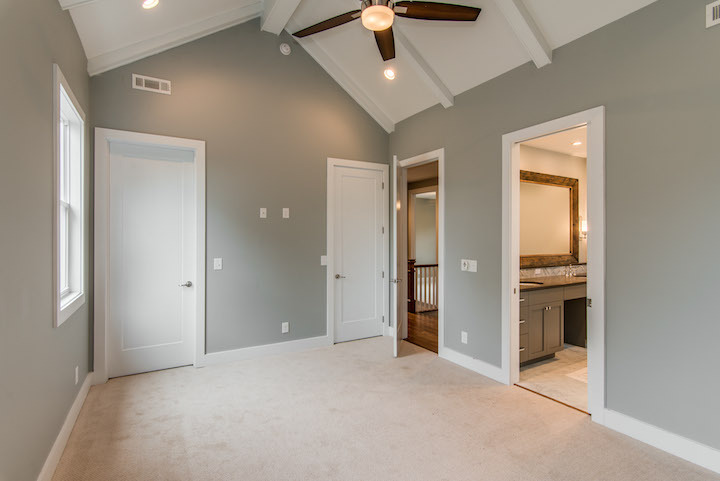 Needless to say, it was important for us to give the Brown family 10-foot ceilings with eight-foot doorways, as we did downstairs. 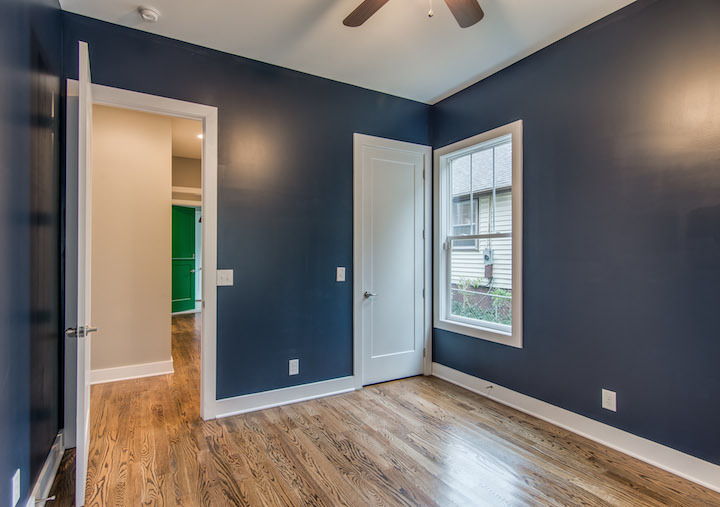 Upstairs we ensured they had nine-foot ceilings with eight-foot doorways. Our challenge here was to keep the house from towering so high that it overpowered the houses around it. 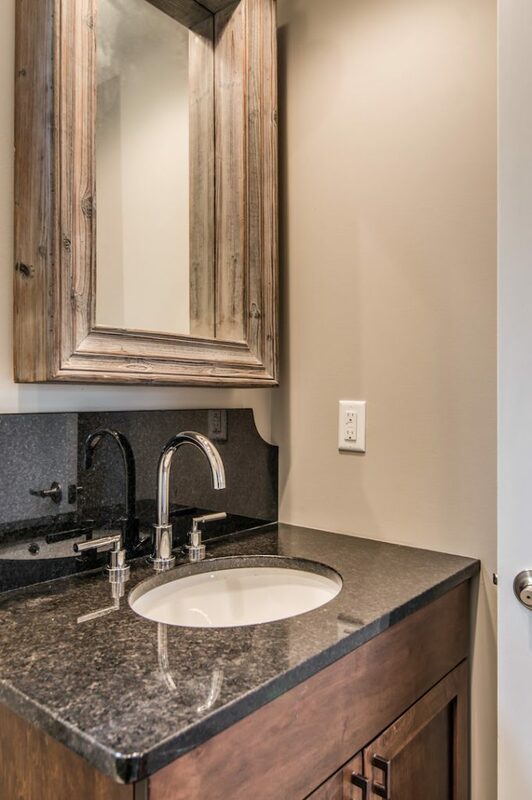 Luxe Tile and Plumbing Fixtures on a Budget. 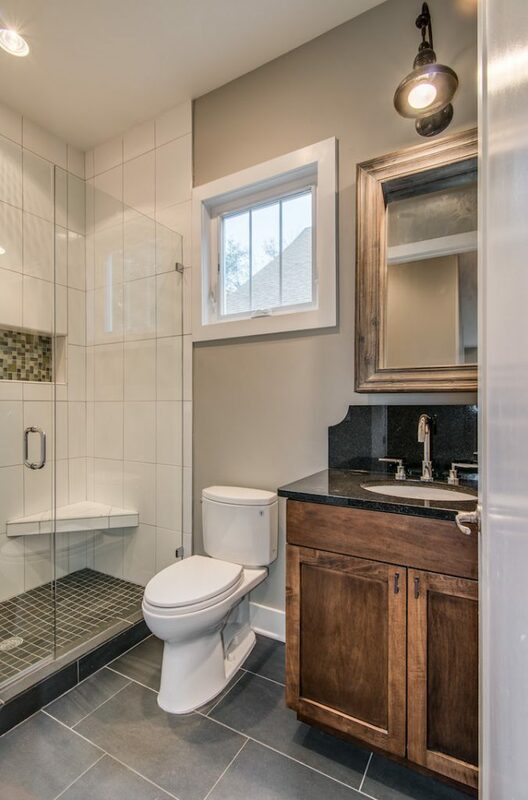 When you work at a tile shop, the world is your oyster, right? Not necessarily. 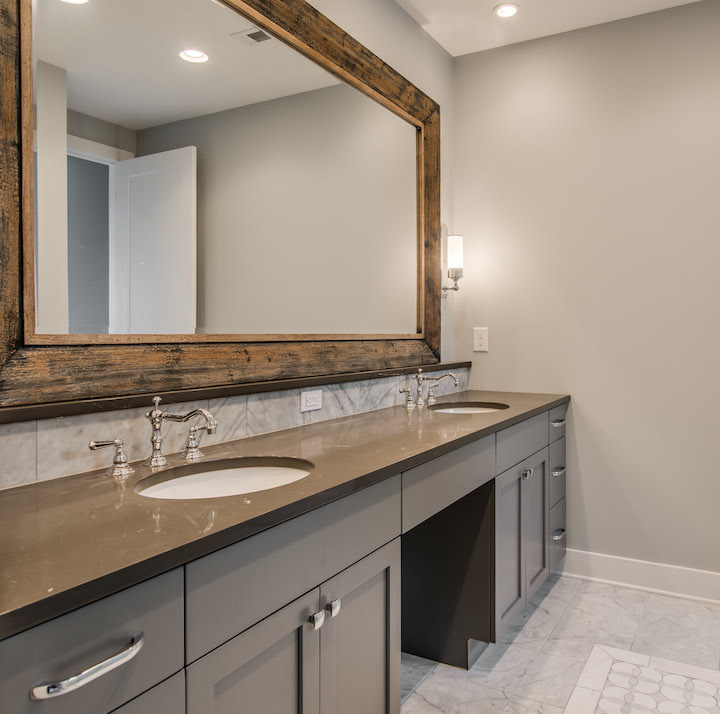 Shelby cites the abundance of options as having been her biggest challenge (when these photos were taken, she was still weighing options for her backsplash tile, and has since installed a handmade, elongated subway-style tile). “Budget definitely comes into play because you have to decide what you’re willing to spend the money on and where you need to save it,” she says. 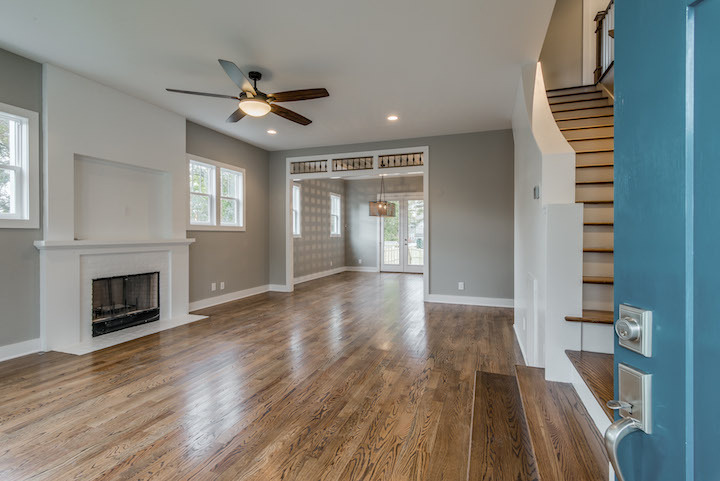 To get the specifics on everything from paint colors to lighting to tile selection, check back in with our blog next week! 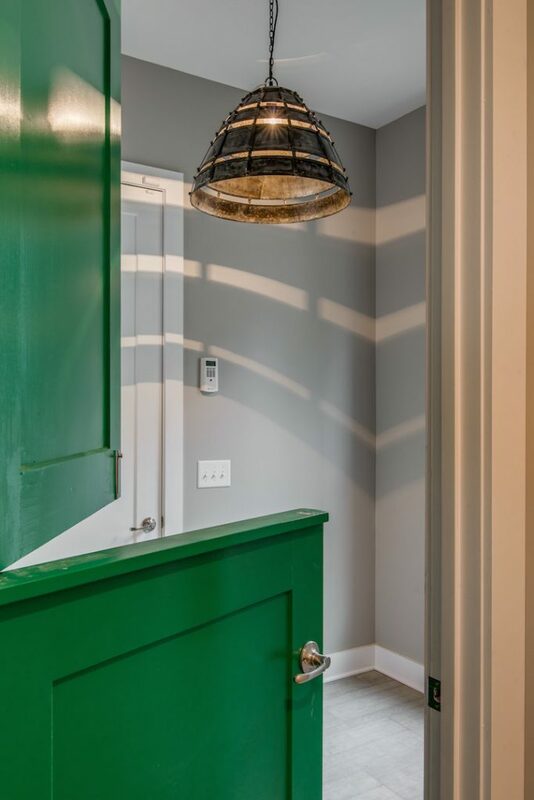 This entry was posted in Story of a Home and tagged architecture, dutch door, interior design, Nashville, renaissance tile, residential design, sylvan park on July 30, 2017 by Ellen Barnes.